Swim & Sport Shampoo 12 oz. Gently removes chlorine, sweat & salt. Sulfate-free and safe for color and chemical treated hair. Swim & Sport Conditioner 12 oz. Hydrates, repairs, detangles & protects hair from chlorine, sweat & salt. Lightweight for daily use. Sulfate-free. Swim & Sport Body Wash 12 oz. Gently removes chlorine, sweat & salt while restoring your skin. Sulfate-free. You don't want to wear chlorine all day. Our Swim & Sport shower products will make you feel great top to bottom. 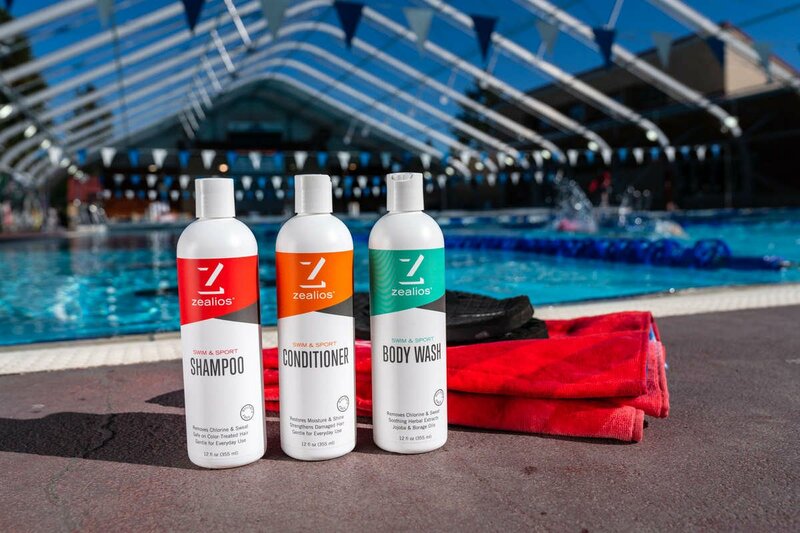 Get the bundle with Shampoo, Conditioner & Body Wash.
Sulfate-free and formulated to gently remove chlorine, sweat & salt. Also check out our 32oz Swim & Sport pumps perfect for the shower! The sidekick who hangs poolside with you all day.